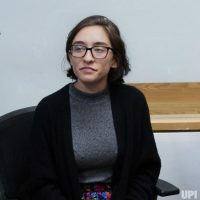 We the undersigned faculty members of the Alliance for Academic Freedom (AAF) stand in solidarity with the presidents of all Israeli universities in urging the Israeli authorities to permit the American student Lara Alqasem to enter the country to pursue her studies at Hebrew University. We join with the many faculty members and organizations throughout the US that have endorsed her right to study at any university to which she gains admission. As a last resort, we urge the Israeli Supreme Court to intervene and reverse the government’s decision. David Abraham, Deborah Achtenberg, Yael Aronoff, Ernst Benjamin, Zachary J. Braiterman, Susana Cavallo, Alan Dowty, Peter Dreier, Steve Eichel, Peter Eisenstadt, Sam Fleischacker, Janet Freedman, Joan S. Friedman, Gary Gilbert, Todd Gitlin, Karla Goldman, Henry Greenspan, Atina Grossmann, Susannah Heschel, Ulle V. Holt, Robert D. Johnston, David Kader, Marion Kaplan, Wayne Karlin, Samuel D. Kassow, Alice Kessler-Harris, Rebecca A. Kobrin, Jack Kugelmass, Rebecca Lesses, Joe Lockard, Steven Lubet, Shulamit Magnus, Frances Malino, Jonathan Malino, Jeffry V. Mallow, Daniel Mandell, Tony Michels, Deborah Dash Moore, Sharon Musher, Cary Nelson, Nigel Paneth, Sharrona H. Peal, Jeff Rice, Chaim Seidler-Feller, Irwin Sandler, Paul Scham, David Schraub, Yonathan Shapir, Robert W. Snyder, Kenneth Stern, Paula A. Treichler, Irene Tucker, Judith Vichniac, Michael Walzer, Alan J. Weisbard, and Jeff Weintraub.